For social media marketing and other forms of online marketing and advertising to become a success for your business, you must know how to find and engage your target market. Having the best social media sites, business websites, pay per click advertising and other marketing is not going to have a return on investment if you are not appealing to those that need your products and services. When you find out where your customers and prospects spend their time on line, you are in a better position to leverage your online marketing in order to get their attention. That is when you are going to begin to notice an increase in your conversion rates and get the best return on investment for the time and budgeting that you give to online and social media marketing strategies. Knowing how to find your target market for the best return for your busy is easy when you understand that active internet users spend around 25% of their time on online social networks. That makes it obvious that finding your target market where they are most likely to engage and at what specific social sites should be a big part of your business’s online marketing strategies. Depending on what sort of business you are will depend on what top social sites you should focus on. Facebook and YouTube are hands down the two most popular sites right now, with Pinterest growing faster than any other social media site in the history of the internet. If you sell products and services to consumers, then you will want to have these social media sites, along with Twitter as the most important places to market. If you sell to businesses, then LinkedIn is a social media site that should be at the top of the list of priorities. 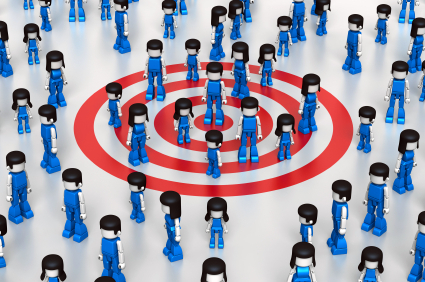 When you know how to find your target market, you then need to know how to engage with them. While you are on social sites, you must stay social. Only about 15% or less of your posts should be marketing or announcing promotions. The rest of the time, you want to stay social. Depending on the demographics of your customers will depend on the best type of posts. Younger consumers enjoy entertaining videos and fresh content that will catch their attention, older customers love quick tips that will make their life easier. Knowing how to find and engage your target market will increase your conversion rates because your business will appeal to those who are most likely to buy your products or services. Along with engaging on the social sites, use advertising such as pay per click advertising, and search engine optimization. Having a well rounded social media marketing, internet advertising and search engine optimization strategy will help you find, engage and sell your target market at increasingly high numbers.